The implants are metallic elements of titanium that are surgically located in the maxillary bones. Once placed and after a minimum of three months, they can be used to hold over them crowns or fixed bridges that will replace the lost teeth. They can also be used with clasps to retain partial or total removable prostheses. What to do when the bone of the jaws is insufficient? In some cases losing teeth also causes bone loss that makes implant placement difficult. Many times it is possible to perform bone grafts to improve the conditions where we want to place the implant. 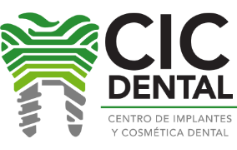 No, there are indications depending on the case to use different measures and design of dental implants. There are different qualities in the market, check if the used one meets the best quality standards.